Diagnosis and treatment of thalassaemia and the role of the GP in its management, including the risk of complications, the availability of iron chelation therapy and when screening may be required. Thalassaemia comprises a heterogeneous group of inherited anaemias due to defective haemoglobin (Hb) production. Thalassaemia is caused when expression of alpha or beta globin genes of Hb are impaired. The reduced production of one type of globin chain and over-production of the other type of globin chain causes a chain imbalance. Both alpha and beta thalassaemia carriers usually have no clinical symptoms and may be unaware that they are carriers. However, recognition of this condition is vital to avoid unnecessary treatment, such as unnecessary iron supplementation to treat mild microcytic hypochromic red blood cell (RBC) indices. Identifying thalassaemia carriers will also allow for informed decision making regarding the risk of significant haemoglobinopathy in the homozygous state, for example, beta thalassaemia major. Hb disorders occur worldwide, particularly in those areas historically affected by malaria. In the UK, it is estimated there are 1,000 patients affected by severe forms of thalassaemia, mainly beta thalassaemia major. One in seven people of Indian, Pakistani and Bangladeshi origin are thought to be carriers. The NHS national sickle cell and thalassaemia screening programme now identifies many pregnant women as being carriers. A positive result in a pregnant woman also prompts screening of partners to determine the risk of an affected pregnancy. At-risk couples are then offered prenatal diagnosis by chorionic villus sampling early in pregnancy. Carriers of beta thalassaemia usually have normal Hb, microcytic hypochromic RBC indices (mean corpuscular haemoglobin (MCH) <27pg) with raised minor adult haemoglobin equal to or more than 3.5 per cent. High performance liquid chromatography is used for screening purposes. 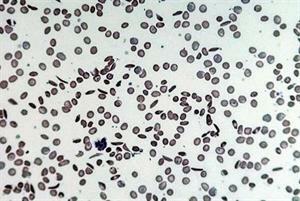 Features noted on the blood film are hypochromic, microcytic red blood cells, target cells and basophilic stippling. Alpha thalassaemia carriers require DNA tests to confirm carrier status. This is usually organised if the MCH is less than 25pg and if the individual is from south east Asia, or certain Mediterranean countries where the frequency of alpha (0) thalassaemia is higher (most commonly where both alpha genes on the same chromosome are deleted). A 'family origin' questionnaire has been introduced to help identify whether these individuals and their partners should be invited for screening. If a variant Hb such as a beta chain mutation (Hb E) is detected, partner screening is recommended as the compound heterozygous state Hb E/beta thalassaemia results in thalassaemia intermedia where transfusions may be required intermittently. The compound heterozygote state of Hb S/beta thalassaemia results in a sickling phenotype rather than a thalassaemia. Neonatal screening is offered to all children in England and although aimed at identifying children with sickle cell disease where early identification is particularly important, most cases of beta thalassaemia major will also be identified this way. Other significant haemoglobinopathies are also likely to be detected including Hb E/beta thalassaemia, beta thalassaemia intermedia and Hb H disease (alpha thalassaemia intermedia). Some of these cases may be missed and the diagnosis should be considered in any child with persistent microcytic hypochromic anaemia where iron deficiency has been excluded. Patients with beta thalassaemia major have anaemia that is progressive from around three to six months of age (when the level of fetal Hb starts to fall) due to lack of production of Hb A, the major adult haemoglobin. The classification of thalassaemia is now moving towards a distinction between transfusion-dependent thalassaemia (beta thalassaemia major) and non-transfusion dependent thalassaemia (thalassaemia intermedia). 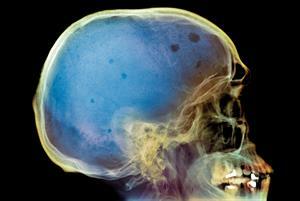 Untreated patients with beta thalassaemia major have growth failure, deformity of the facial bones and skull due to bone marrow expansion and enlarged livers and spleens. Monthly transfusion therapy is necessary to avoid these complications and prevent progressive heart failure and death. With adequate transfusion therapy, life expectancy is significantly improved and these changes can be prevented. 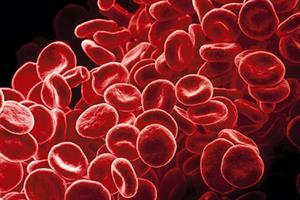 However, an inevitable consequence of red blood cell transfusion therapy is iron overload. 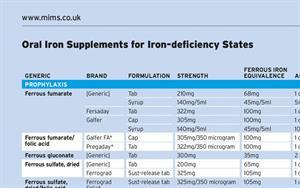 Excess iron results in free radical-mediated damage to the heart, liver and endocrine organs. Without adequate intervention to remove this stored iron and prevent further build up, end organ damage occurs. 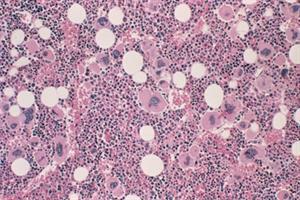 This can be seen as hepatic fibrosis, cirrhosis and liver failure, cardiomyopathy and heart failure, and endocrinopathy. 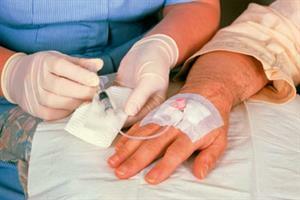 Successful treatment with iron chelation therapy helps to prevent and, in some cases, reverse these complications. The use of the oral iron chelator deferasirox has helped to improve compliance with this therapy and in conjunction with the established iron chelation therapies, deferiprone and desferrioxamine is likely to contribute to improving life expectancy. The only curative intervention at present is bone marrow transplantation. 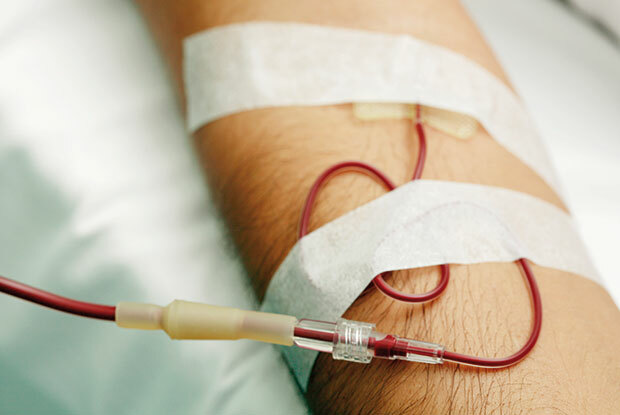 Patients with thalassaemia intermedia have often a milder course of treatment, with transfusions either periodically or not at all. The type of thalassaemia mutation and other genetic factors influence the clinical course. Novel agents are being trialled to help improve haemoglobin and transfusion requirement. GPs should be aware that carriers of beta thalassaemia or alpha thalassaemia are often asymptomatic and will rarely have significant anaemia. Pre-conception screening of at-risk young people should be encouraged. Early booking of pregnancy screening will help to avoid late identification of at-risk pregnancies and allow informed decision making from an early stage. GPs should consider a haemoglobinopathy screen in all investigations of microcytic anaemia. This is particularly important in patients who are iron replete and in those with a poor response to iron supplementation. An awareness of the risk of complications is also vital. For example, the risk of sepsis in a splenectomised patient can be life threatening and early identification and referral will ensure prompt treatment. Some patients born outside of the UK may have had suboptimal treatment and are at risk of some of the severe complications. GPs should be aware of the side effects of iron chelation medication and help encourage compliance. As patients are living longer, GPs play an important role in promoting general health maintenance including routine monitoring and screening for age-related illnesses. Management of patients with thalassaemia occurs in the setting of a haemoglobinopathy network managed by a specialist centre in conjunction with local centres and primary care. New patients identified as part of the neonatal screening programme should be referred for specialist management. This is an updated version of an article that was first published in November 2010.